The American Lock No. 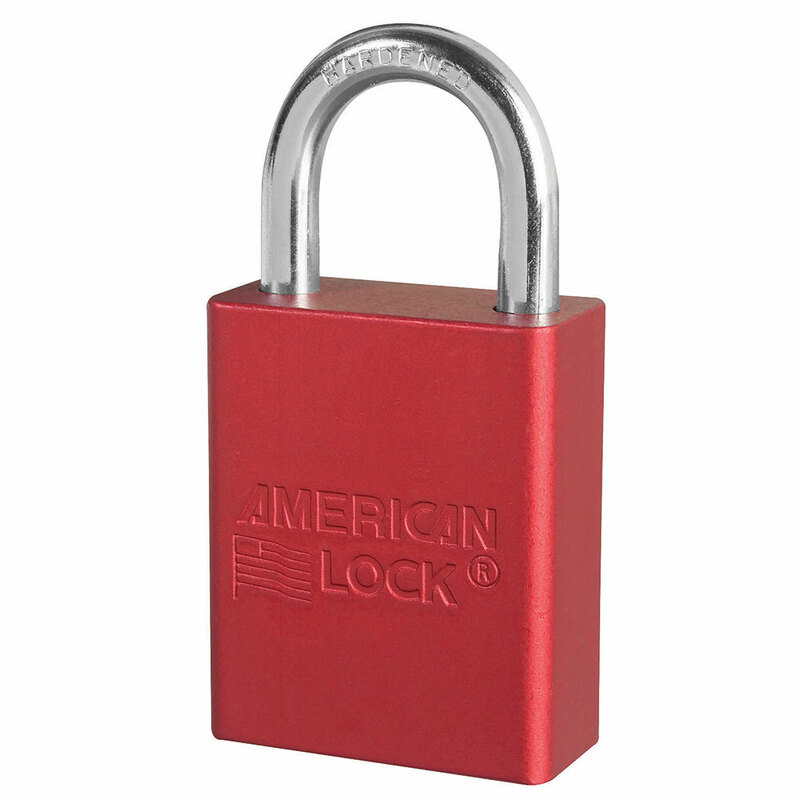 A1165KARED Aluminum Padlock, Keyed Alike – multiple locks open with the same key – features a 1-1/2in (38mm) wide red anodized aluminum body with a 1in (25mm) tall, 1/4in (6mm) diameter chrome plated, boron alloy shackle for superior cut resistance. Featuring a 6-pin APTC14 cylinder, the anodized finish makes padlock suitable for lockout in food processing facilities and corrosion resistant finish ideal for tough environments.